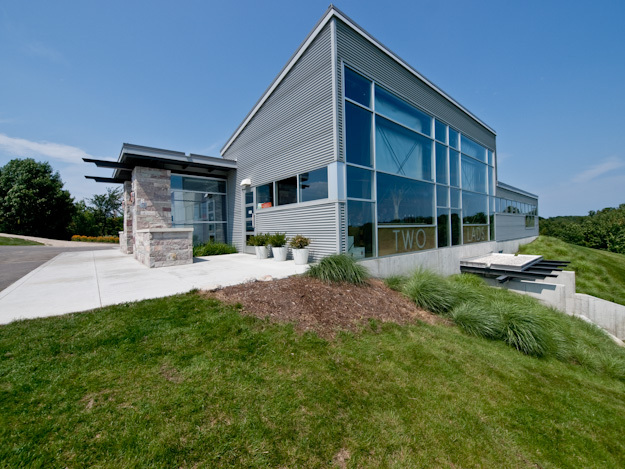 The image above shows Two Lads Winery located on Old Mission Peninsula near Traverse City, Michigan. 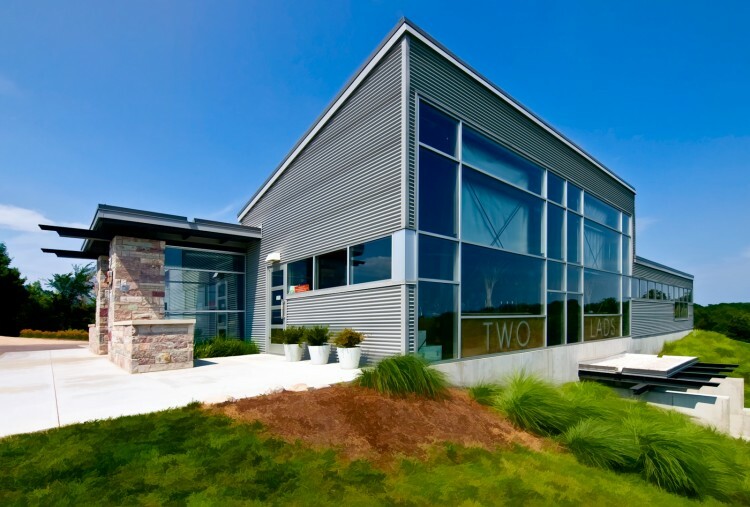 The tall glass area is the tasting room which has a wonderful view of the east arm of Grand Traverse Bay. The grounds around the building were rather plain and gave the image more of a snapshot look. Ideally I would have liked to take this shot just after sunset, but when you are on vacation you shoot what you can when you can. If you are ever in the Traverse City area and you enjoy good wine, I highly recommend you check out Two Lads (and other fine wineries in the area). Michigan wines have come a long way from many years ago and many win top medals and wine competitions. The Traverse City area in particular produces some high quality red and white wines. Check ’em out. Copyright © 2009-2010 James W. Howe – All rights reserved.